The Marauder debuted in 1963 ½ model as a two-door fastback hardtop version of the full-size Mercury. 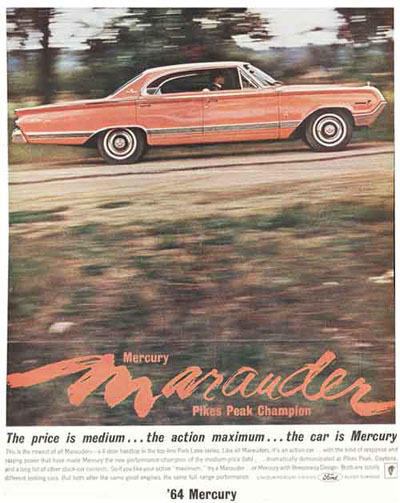 Marauders were offered from the 1963½ to 1965 model years, then again from 1969 to 1970. In 1964, the Marauder name was used to designate both two and four door models of the Mercury Monterey, Montclair, and Park Lane using a fastback roofline, rather than the reverse-slant Breezeway roof that had been introduced in 1963. 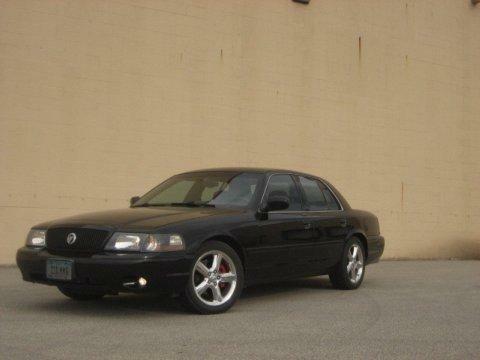 The 2003-2004 Mercury Marauder was based on an updated version of the Ford Panther platform. It has a naturally aspirated 4.6L DOHC V8 producing 302 HP and 318 Ft Lbs of Torque. 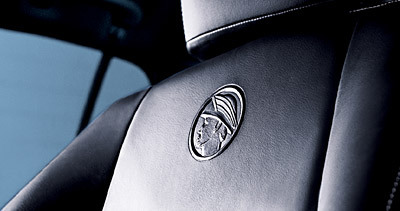 The Marauder is fited with the 4R70W (2003) and 4R75W (2004) 4-speed automatic transmission. 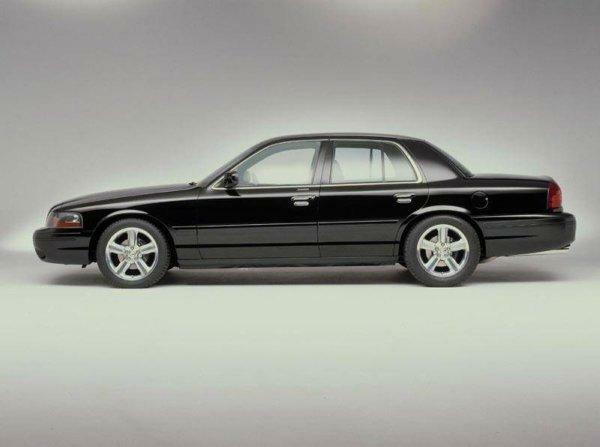 The 3.55 rear axle and aluminum drive shalf were borrowed from the Crown Victoria Police Interceptor. The 300A's were offered with a Charcoal interior. They came out mid year and they offered new colors options inside and out. Exterior color options now included: black, silver birch, and dark blue pearl. A new interior color was also availible: Light Flint. 300B's had less standard features than the 300A's, but also had new options not offered on 300A's so they are considered "Decontented" or standard features are now options to purchase. 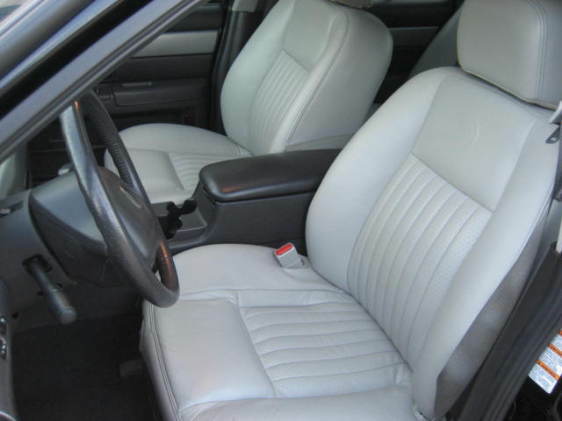 300B's had an option of a Light Flint color interior, there were only 147 made with this option in 2003. 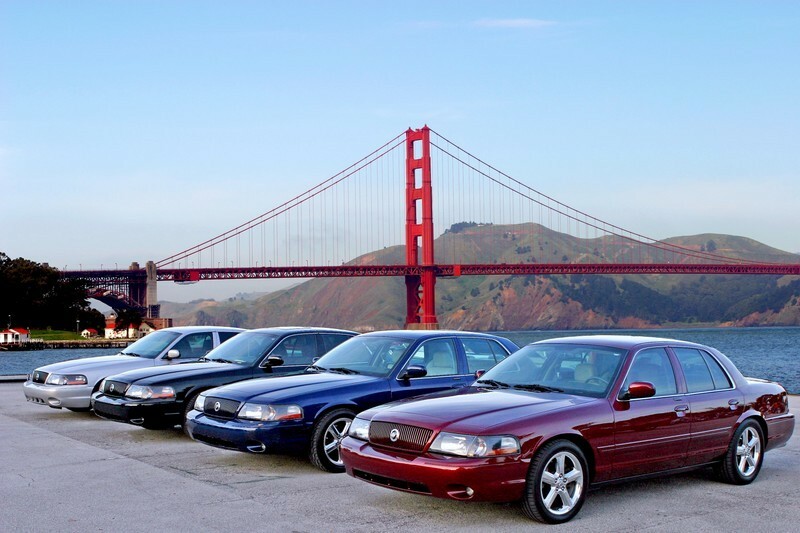 2004 Marauders were offered in black, silver birch, and dark torador red which replaced dark blue pearl. 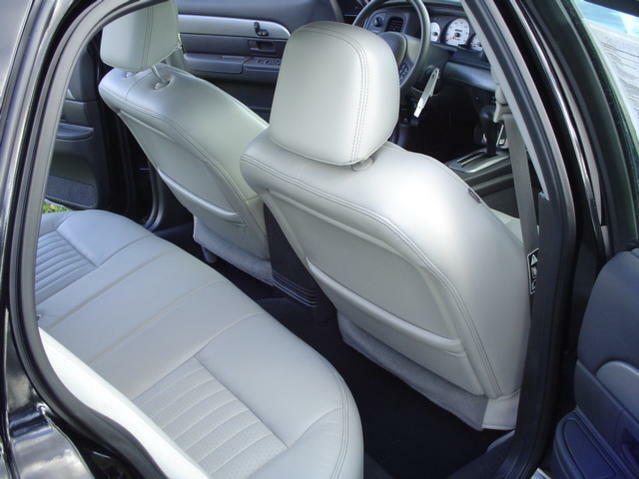 All 2004's have features of a 300b, but are designated as 300a because of the new model year.